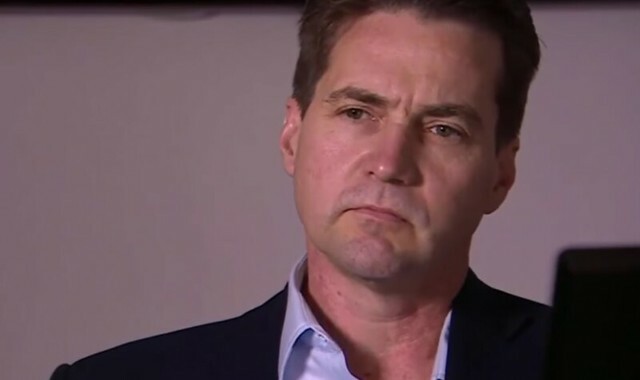 The document contains threats of a legal action against him unless Hodlonaut makes a public apology and confirms that Craig Wright is the genuine Satoshi Nakamoto, the mysterious Bitcoin creator. Fragments of the letter prepared for Hodlonaut with threats of suing him were published in Bitcoin Magazine. 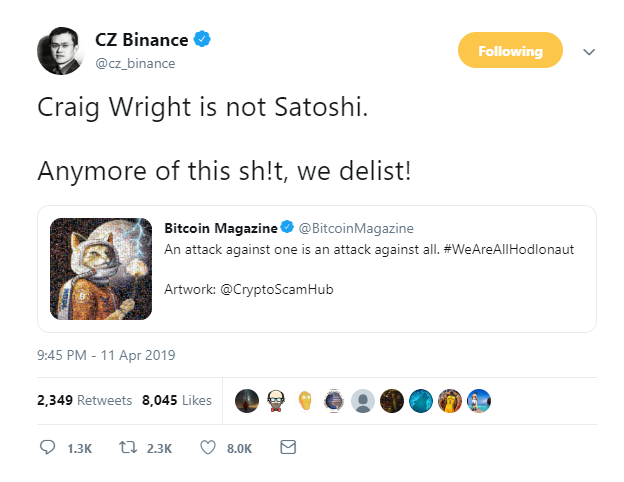 Seeming to be weary of Craig’s claims to be Satoshi and now even promising to sue people who reject his claims, the head of Binance, CZ, has threatened to delist Bitcoin SV if Craig continues his campaign against Hodlonaut. On Thursday, CoinGeek, the crypto-related blog of Calvin Ayre, Craig Wright’s associate, wrote that the lawyers’ team hired by Wright had prepared a letter addressed to Hodlonaut. The letter reportedly says that they can prove a deliberate campaign being targeted at Wright in order to harass and libel him. The bounty totals $5,000 in BSV and it is offered to anyone who can help identify the Twitter user going by the name Hodlonaut using the pictures he had published on the social media platform. As mentioned above, Bitcoin Magazine managed to obtain the letter and in its article it quoted a few passages. Craig Wright’s lawyers say that Hodlonaut has posted a series of tweets, constantly calling Wright “fraudster” and “scammer”, adding to that a hashtag #CraigWrightIsAFraud. 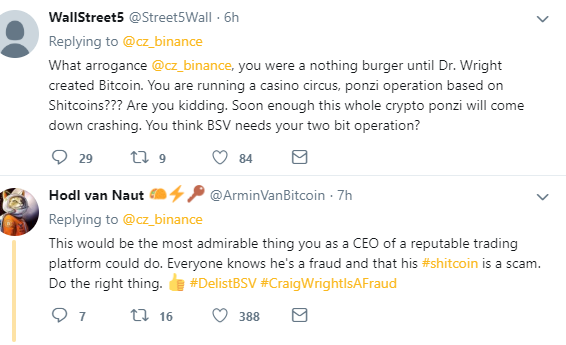 After CZ posted his tweet, threatening to delist BSV, the community responded very enthusiastically. People kept encouraging CZ to ‘do it’ with GIFs, assuring that their respect to Binance and its CEO has soared after this decision. CZ responded that he prefers to stay away from rumours, debates, etc, however, in this case, he wrote, things have gone too far. One Bitcoin SV supporter joined the discussion as well, though. He started posting rebukes regarding CZ and Binance, calling the exchange and its recent activities a Ponzi Scheme. He also mentioned that the BSV network does not need the services of this exchange.